The StairMaster 5 StepMill is the new and very much improved version of the classic 7000PT StepMill. The 7000PT has been the most popular step machine in major health clubs the world over for the past two decades. For a quarter of a century the StairMaster StepMill has been called the toughest workout in the gym, and now you can enjoy that same toughness in the comfort of your very own home, using the totally redesigned user friendly SM5. This StepMill offers unrivalled durability, and burns more calories than elliptical machines and exercise bikes. The revolving 8-inch stairs closely duplicate the workout of stair climbing, affording the user the heart and muscle benefits that can be gained when climbing real stairs – and, all achieved in complete comfort. The machines electronically controlled, chain-driven alternator precisely controls the pedal descent, allowing a wide and varied range of users the ability to exercise smoothly, within their desired comfort zone. The Stairmaster Stepmill 5 offers a step range of 26 to 162 steps per minute, perfect for strengthening legs and boosting cardio. Even the fittest users will be challenged and enjoy a great work-out. The console on the StairMaster 5 offers a fitness test that gauges individual progress, along with a custom firefighter test (CPAT) that measures both cardiopulmonary endurance and muscular strength. Firefighting is considered one of the most physically demanding jobs in the world, which is why the CPAT is a natural fit with the Stairmaster StepMill. 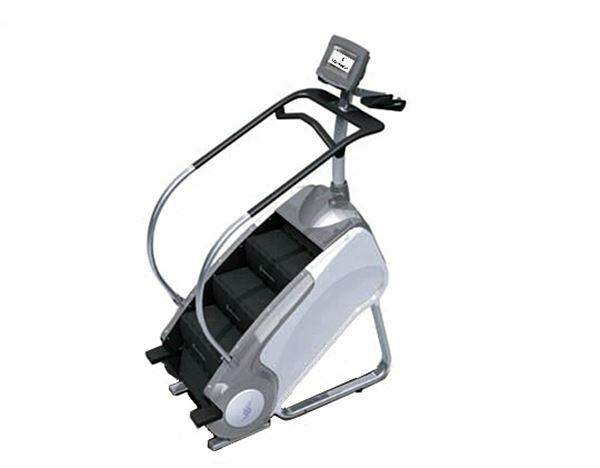 Buy StairMaster Stepmill 5 online. If you are interested in the StairMaster Stepmill 5 for sale, feel free to enquire above.